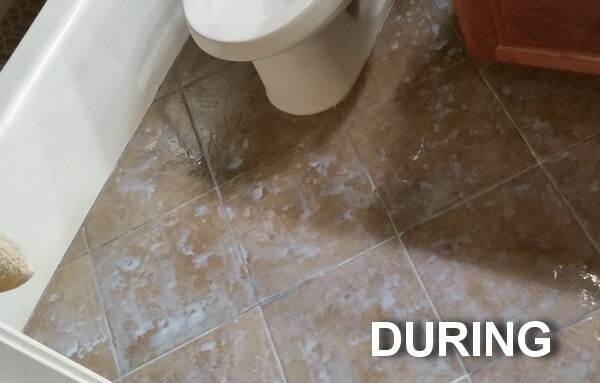 First, we vigorously cleaned our tile and grout to prepare it for the finisher. 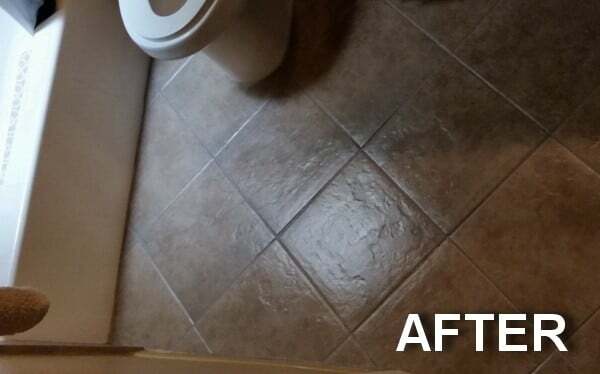 We then sealed our bathroom floor using a quart of Stonetech High Gloss Finishing Sealer. It cost us under $40 dollars and took under 4 hours. We used a simple sponge like applicator that made applying it easy. Our tiles and grout were incredibly dried out and would absorb the product. This caused us to add about 4 heavy coats. The only time consuming aspect of this project was allowing the finisher to dry between coats. All in all using a gloss finishing sealer on our floor was a great decision. It has sealed the grout and given everything a great glossy shine. Water just sits on top of the grout instead of soaking right in like before. 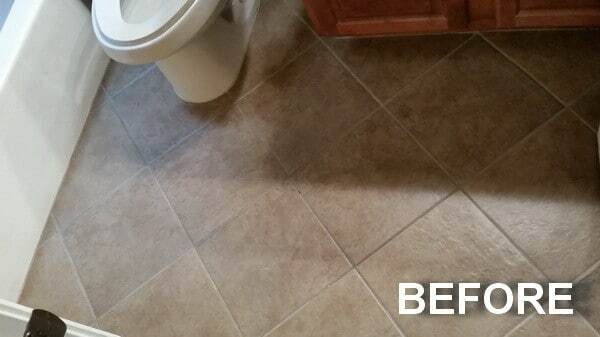 Our tile and grout is well protected and should look great and last for years to come! LOOKS GREAT AND COST UNDER $40 BUCKS! Before applying a sealer, you will need to clean the grout. This video explains how.